alwin Morris was born in Winchester, the son of an auctioneer. He trained as an architect but developed an interest in design and furniture. In 1893 he moved to take up a position in Glasgow as Art Director at book publishers Blackie & Sons, responsible for graphics. In Glasgow Morris befriended many of the Glasgow designers and in particular The Four. He designed furniture, metalwork and jewellery. 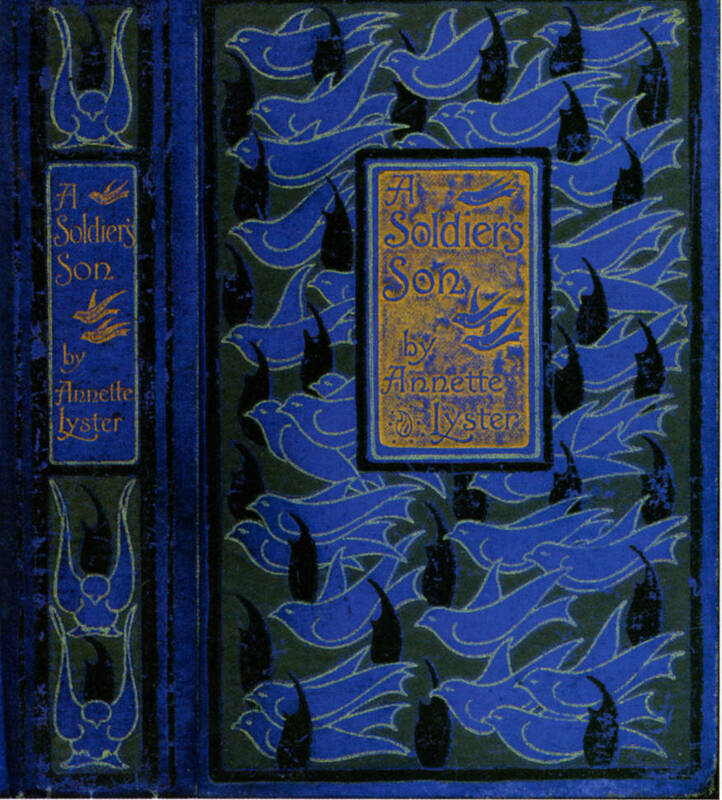 But he is probably best known for his book cover designs which were produced in large numbers. 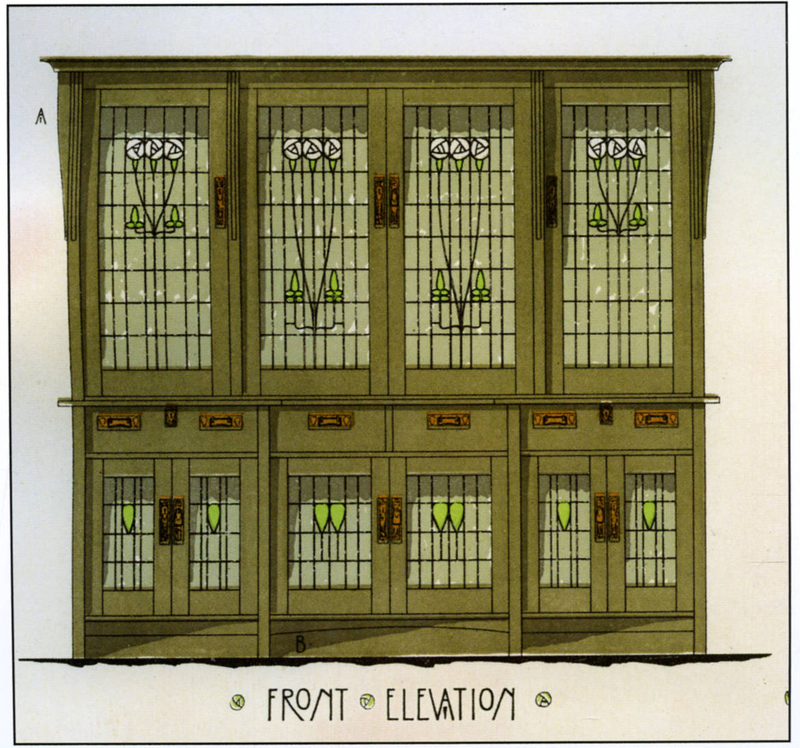 These were considered avant garde at the time and they introduced the Glasgow Style into homes all over the country. Morris adopted a range of motifs in his designs, often using the peacock and including highly formalised plant forms such as roses, hearts, as well as squares and strong vertical lines. His metalwork is often set with semi-precious stones. Morris died at 45 years in 1911 and is buried under a headstone designed by Mackintosh. His work featured in The Studio and in the 1900 Vienna Secession and Turin 1902 exhibitions. Cinamon, G. “Talwin Morris, Blackie and the Glasgow Style.” The Private Library 3rd series, vol. 10.1, (Spring 1987): 3–47. Cinamon, G. Talwin Morris and the Glasgow Style: Part II. The Charles Rennie Mackintosh Society Newsletter 29 (1981): 8–10. Cinamon, G. Talwin Morris (1865–1911): a checklist of works related to publishing. The Private Library 3.1 (1990): 41. Euler, Laura. The Glasgow Style. Atglen, Pennsylvania: Schiffer, 2008. Seaton, Chris.“The book designs of Talwin Morris (1865-1911).” The Review of Scottish Culture , (1986): 13-17. Talwin Morris & the Glasgow Style. Exhibition Catalogue. 26 April-11 July 2005. Blackwell, the Arts & Crafts House. White, Gleeson. “Some Glasgow designers and their work: part II.” The Studio 11 (1897): 227–36.